What will happen to critical wetlands as sea levels rise? Vulnerable coastal wetlands and beach areas are home to endangered birds and other wildlife. 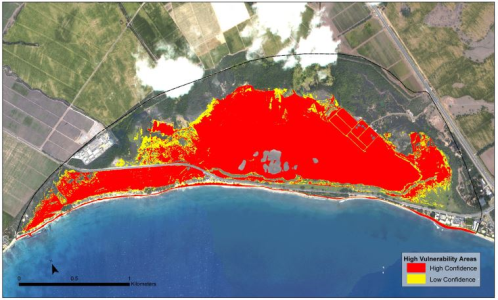 This project identifies the exposure of three managed wetlands on O‘ahu and Maui to projected sea level rise and examines the amount of time available to implement the adaptation responses. Working with stakeholders at sites of high management significance, this project provides a model of sea level rise to define impacts and develop responses and solutions.